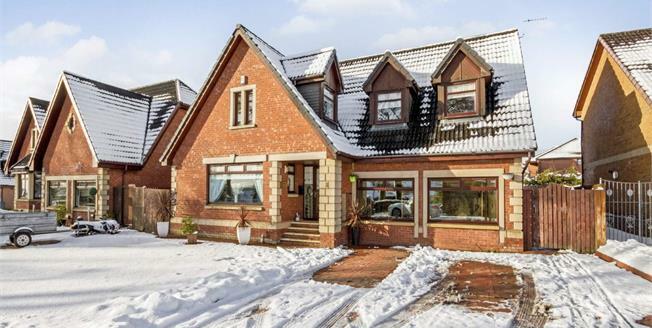 Most impressive detached family villa within a locally admired development of self built properties. This property provides an abundance of beautifully presented and highly flexible accommodation including, welcoming reception hall, cloakroom WC, sizeable and front facing lounge, dining room with French door access to the rear garden, fabulous high specification kitchen with open plan dining area and utility room. The garage conversion provides extensive storage and a games room currently housing a hot tub. The upper level provides landing area, five spacious bedrooms and designer bathroom. The master bedroom benefits from an en-suite while a dressing room can be accessed from the guest bedroom. The premier position ensures substantial private garden grounds surrounding including an expansive driveway to the front and artificial grass and decked area with summer house to the rear. This is an excellent opportunity to purchase within a select setting with internal viewing required to appreciate fully.